It’s magical, it’s mysterious, and it’s the perfect game for you! Fantasini: Master of Mystery Slots is a fun online video slot game with loads of chances to win big! 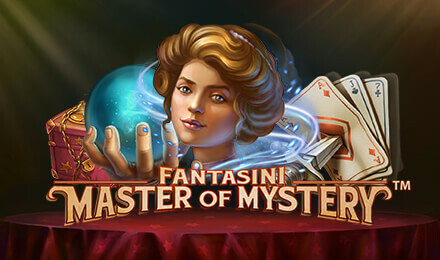 If you’re looking for a magical online video slot game that’s packed with fun, rewarding features and bit win, then play Fantasini: Master of Mystery Slots today! Each spin begins with 2 identical reels that can expand to become 3, 4 or 5 identical reels, giving you loads of chances to win – 243 to be exact! Plus, look out for the Master of Mystery Wild symbol, which can replace other symbols to help complete a winning line! Good luck!